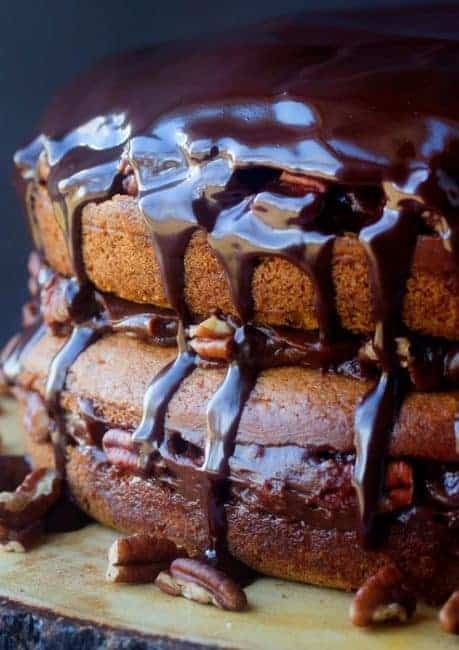 This Pumpkin Cake with Chocolate Pecan Frosting is heaven in every bite. 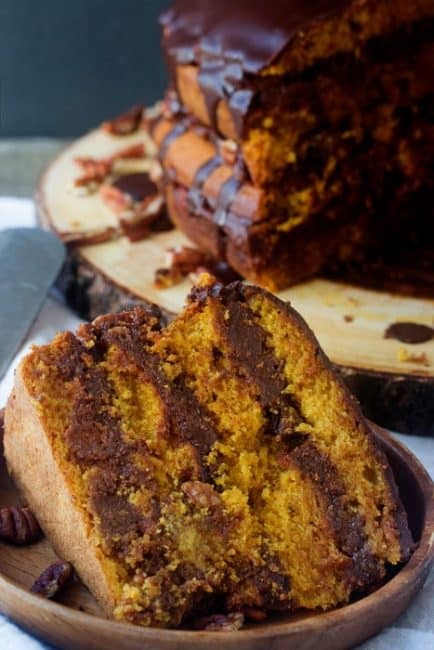 Spiced pumpkin cake paired with rich chocolate pecan frosting and stacked in a beautiful layer cake. So good! Pumpkin season is upon us. This is one of my favorite times of the year. As soon as the air starts to get a little cooler I officially declare it fall in my house and begin searching for my newest takes on pumpkin recipes. My husband once told me that he didn’t “get” chocolate and pumpkin. That it just seemed a bit weird. So, of course, I made it my life’s mission to convert him to a chocolate and pumpkin cake lover. Well, I am happy to report that I have succeeded. And THIS cake is part of the reason why! 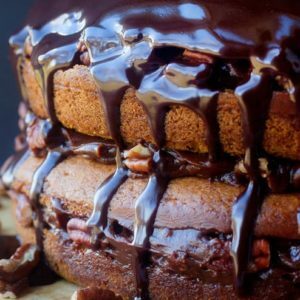 The moist layers of spiced pumpkin cake, pair perfectly with the velvety chocolate ganache glaze and crunchy pecans. I have to talk about that chocolate glaze for a second. It’s a smooth and velvety chocolate ganache glaze that just puts it a little more over the top but in the tastiest of ways. Watching it drip down the sides of the cake definitely made my mouth water! There is something to be said about the presentation of a cake. The prettier, the tastier, right? Well, in this case, I would have to agree! 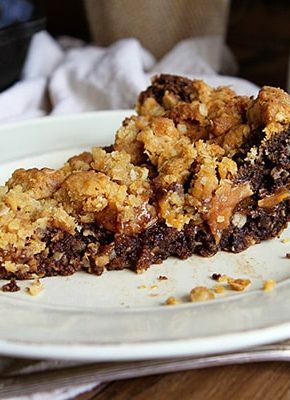 If you like ganaches, there are a few recipes you can try in addition to this one. 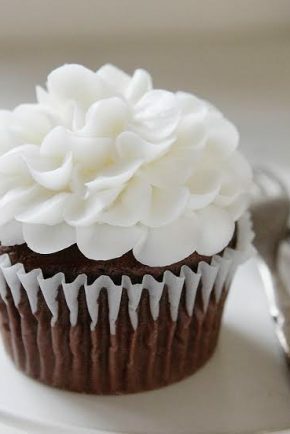 Some use milk chocolate and others use dark or even white chocolate. Switch up your chocolate routine and pair it with some pumpkin and pecans this year because this Pumpkin Spice Cake with Chocolate Pecan Filling is a winner. I promise you will not be disappointed! 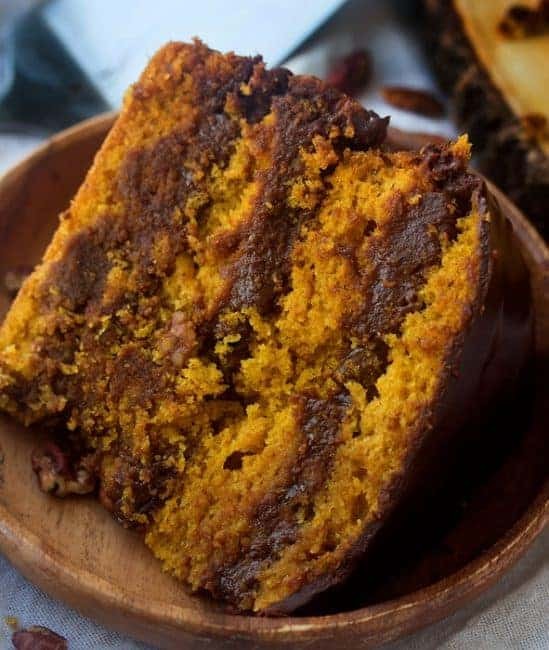 Looking for more Pumpkin Cake Recipes? Preheat the oven to 350 degrees F. Lightly spray two 9" round cake pans and line the bottoms with parchment paper. In a large bowl whisk the flour, baking soda, baking powder, salt, cinnamon, ginger, cardamom, allspice, set aside. In another bowl combine the pumpkin, sugar, orange zest and vanilla and beat on medium speed with hand mixer until smooth. Add the eggs, one at a time, beating until each one is incorporated. Slowly add in your vegetable oil. Add the flour mixture and mix just until incorporated. Divide the batter between your 2 pans and bake in the oven for about 30 minutes or until top springs back and a toothpick comes out clean. Let cool in pans for about 10 minutes, then on a wire rack until completely cooled. To make the filling, combine the sugar and water in a large saucepan over medium-high heat; bring to a simmer and cook, without stirring, until deep amber, about 8-10 minutes. Carefully whisk in your cream continuously whisking until smooth. Add the corn syrup and bring to a boil, then reduce the heat to medium-low and cook, whisking occasionally, until the sauce thickens slightly about 40 to 50 minutes. Remove from the heat and whisk in the butter, chocolate, vanilla, and salt until smooth. Let cool completely, then fold in your pecans. Cover and refrigerate until firm but spreadable, about 1 hour. 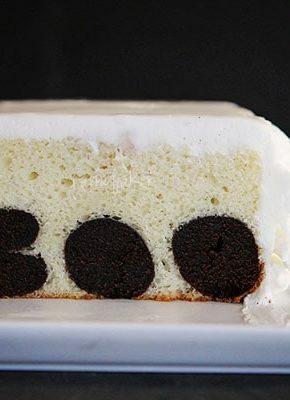 Cut each cake in half horizontally with a serrated knife to make 4 layers. Put 1 layer on a cake stand or turntable and spread one-third of the pecan filling on top. Repeat for each layer, leaving the top of the cake unfrosted. Refrigerate until set, about 1 hour. Thank you for the perfect recipe! 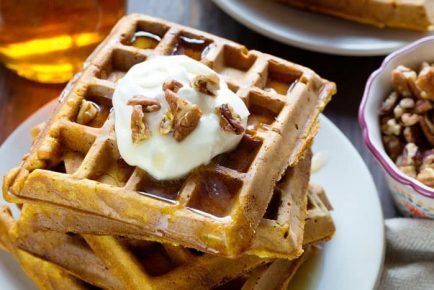 You solved my problem – what’s new to cook from a pumpkin. 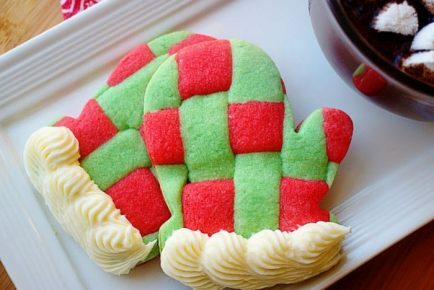 I would like to make this with cream cheese frosting ! Where are the instructions for the ganache? 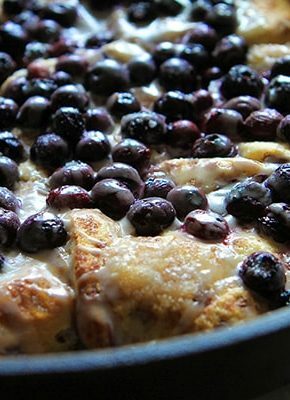 I’m making this today it looks delicious. However you failed to finish the recipe with the ganache. Made this for Thanksgiving. Did not like!